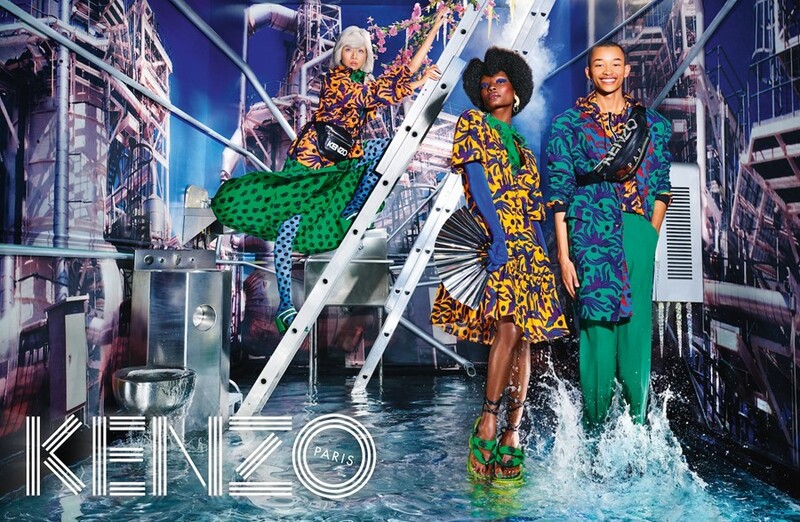 After enlisting Britney for one of its campaigns last year, Kenzo’s new SS19 campaign continues in the pattern of featuring unlikely faces. 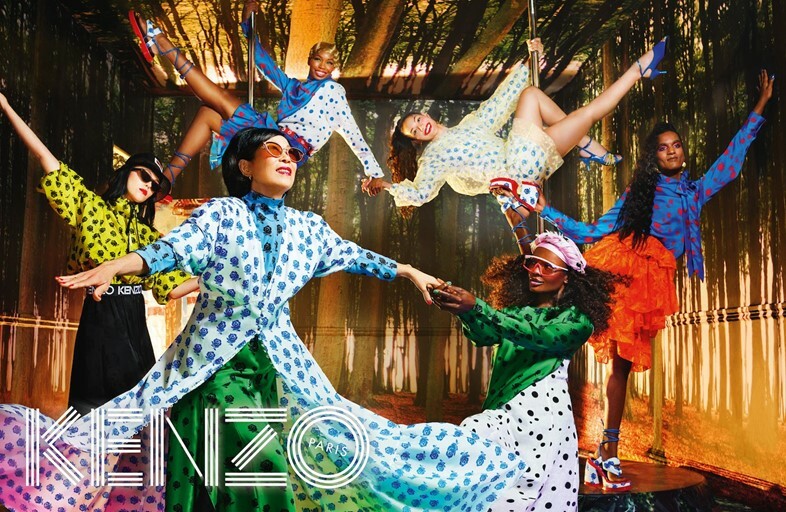 Shot by David LaChapelle, a personal hero of both Kenzo designers Humberto Leon and Carol Lim, the series includes models hanging off poles in a very Primavera by Botticelli way. The most eye-catching aspect of the shoot, however, is the star of the show – Leon’s mother. Spontaneously cast by LaChapelle while visiting the set, Leon’s mother’s presence brings the bright collection to life in the most refreshing of ways. In an attempt to go against the new normal of young models in very expensive clothing, the broad casting goes further than just Leon’s mother; smiling young children, a pregnant woman, and pole-dancing models were also cast. In true LaChapelle style, the campaign oozes an enticing sense of surrealism. The use of poles reimagined as trees matched with the backdrops of Maui, from LaChapelle’s personal archive from his 11 years in Hawaii, create the feeling of a perfect alternate dimension. The campaign is a full circle moment for Leon especially, who went from lining up for one of LaChapelle’s book signings at 18 years old to now collaborating with him for this project many years later. In terms of the inspiration for the collection, Leon describes it as a “fantastical place that could be real, but isn’t”. A place where everyone is smiling and wearing bright coloured prints and Kenzo monogrammed jumpers? Sign us up.